A few days ago, Gabriel Simonet (GeneXus CMO) and I traveled on behalf of GeneXus to the SAP Leonardo Now event, which showcased Machine Learning and IoT use cases from SAP client companies. The event took place at the SAP Leonardo Center. On day 1 there was a presentation by Innoweek, where cases of co-innovation carried out by the SAP Labs team with the companies Liverpool, Natura, BRF, Abastible and Cofarma were introduced. What I found interesting about these projects is that they put together interdisciplinary teams made up of members from the above-mentioned companies, SAP staff who are very clear on how to apply the Design Thinking process, and SAP Labs technicians to make the prototypes. Also, they include students from the Unisinos University (the SAP Labs is located on the campus of this university), so the solutions usually feature comprehensive views that make them more innovative. 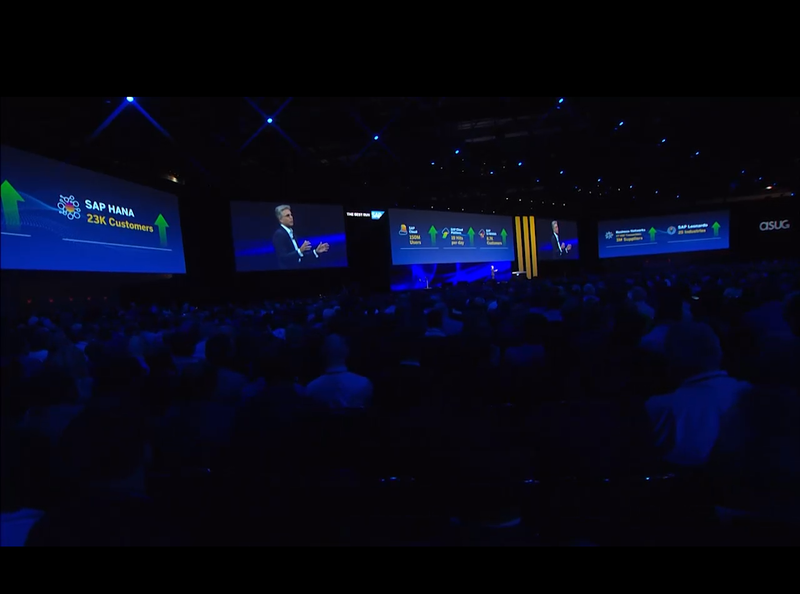 On day 2 presentations were given about the solutions available around SAP Leonardo and the accelerators: Pre-assembled solutions by industry to solve IoT scenarios, the use of Machine Learning and Analytics. SAP Leonardo President Mala Anand was in attendance, as was Claudio Muruzabal, SAP President for Latin America. Also, we had the chance to meet Tomas Helou, SAP Leonardo VP for Latin America. Helou told us that they are very interested in having partners with the ability to do things around SAP Leonardo so I think it’s a very good opportunity for the GeneXus developer community, which includes many people who have the “power of doing.” What’s more, GeneXus allows us to develop applications that run on the SAP Cloud Platform and can be integrated into the services they offer on this platform. Finally, I’d like to invite you to two upcoming events where we will share what’s new in GeneXus for SAP Systems (among the most interesting developments I would like to highlight the co-innovation project that we are carrying out with SAP to certify integration with the services provided by SAP Leonardo Machine Learning Foundation, as well as the new patterns Fiori for Web and Mobile). During this event we will have a booth where we will introduce new developments and answer questions. Also, I will talk about this in a presentation titled “Acelere a Inovação Simplificando o Desenvolvimento de Aplicativos SAP Fiori e SAP Leonardo” (Accelerate innovation by simplifying the development of SAP Fiori and SAP Leonardo applications) during the conference. If you’re in Brazil, I hope to see you there! At our annual meeting in Uruguay, we will showcase success stories about the use of GeneXus for SAP. In addition, Salvador Gimeno will tell us all about SAP Leonardo Machine Learning Foundation. I look forward to meeting you in Montevideo or Sao Paulo!